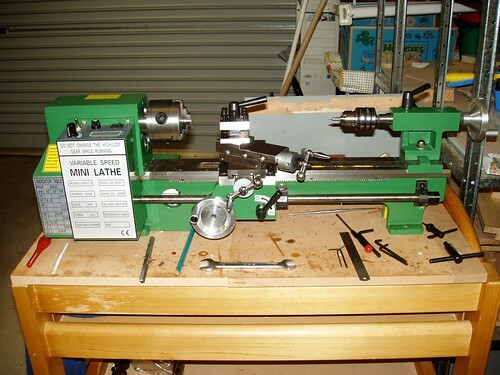 New lathe arrived recently - it is a 7x14 with more powerful motor and a digital tacho. Pretty good out of the box - I've had to replace the crosslide and compound gibs and I put a bronze bearing in the compound feedscrew - both are now smooth as silk. 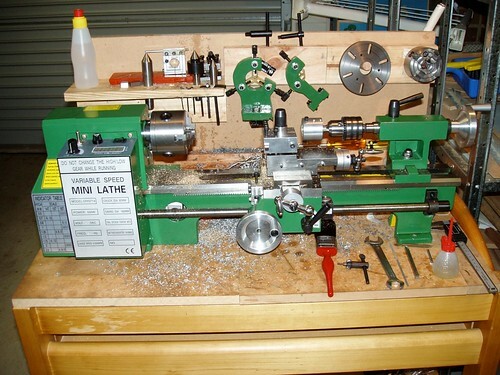 I put a back on the bench so everything is in easy reach - I have been making some chips and it performs very well after a bit of TLC. I replaced the cross-slide and compound gibs as the factory gibs were too small and rotated under pressure from the gibscrews. The new gibs fill the gap much closer and are made of brass. 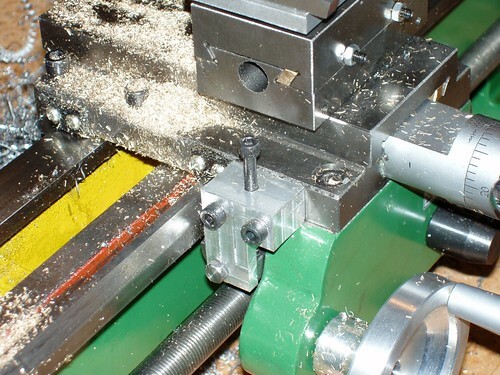 This shot is a of the setup on the mill using the slide to hold the gib whilst machining. 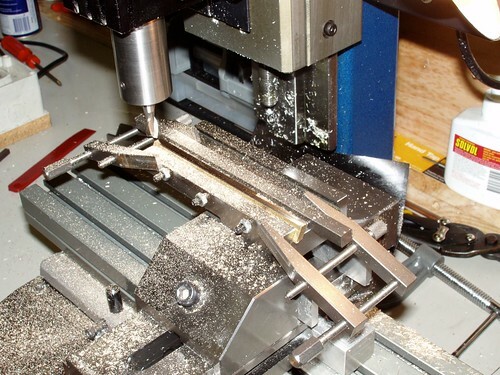 I also remachined the dove tails in the compound slide as they were not parallel and the slide would bind at one end. In this shot you can see the new gibs and a carriage lock ala Vicky Ford. 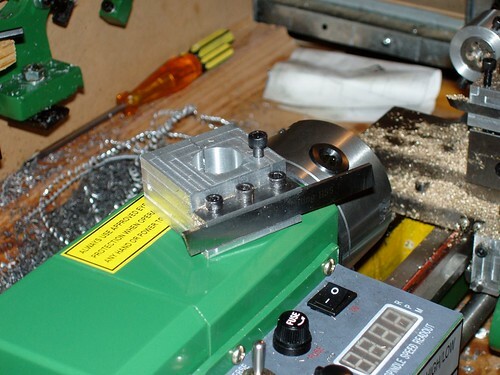 Replacement tool holder adjustable for height. 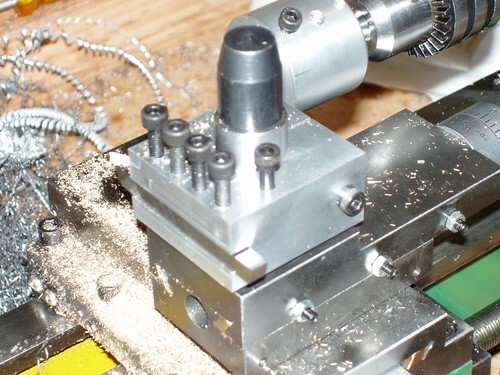 Another tool holder for a 3/32"x1/2" cutoff tool.